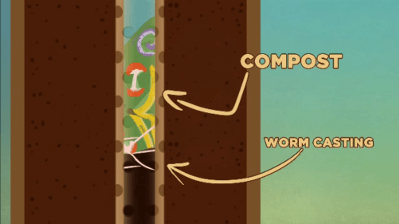 Composting with worms is easy! 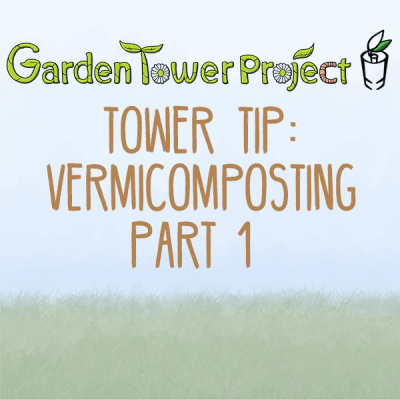 Check out our 3 part series on vermicomposting in the Garden Tower™ Vertical gardening system below! 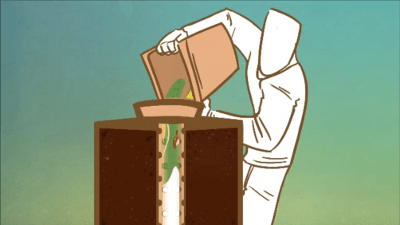 The long tube running down the center of the vertical garden tower is a vermicomposting system. 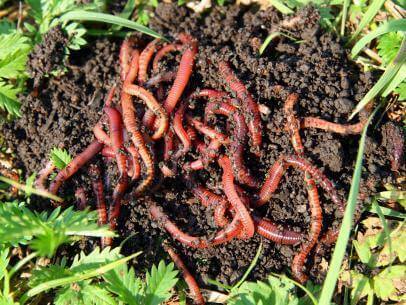 Half a cup of worms is added at the beginning of the growing season. Kitchen vegetable scraps are then added regularly to keep the vertical compost tube full. The worms feed on the organic matter, turning it into worm manure called worm castings, an excellent organic fertilizer and soil amendment. As the worm castings accumulate and aerobic microbial digestion advances, the compost near the bottom of the compost tube turns to rich black organic matter and can be removed easily using the included no-clog compost plug.